1. What is your lead-time for customized clothing woven label for kids? We are under a time pressure here. 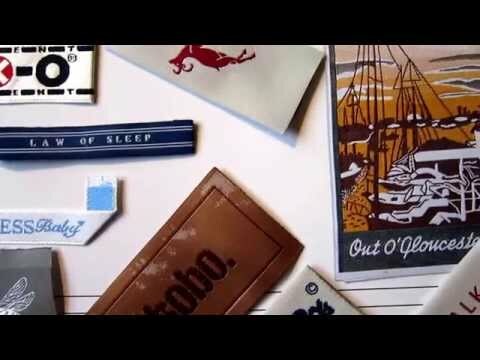 Custom woven label sampling from artwork is about 4 – 7 days. Bulk production is about 10 – 14 days upon confirmed woven label sample. 2. My sewing label is very small, and the logo, texts are even smaller. What is the minimum required dimension for a small lettering to be woven into fabric? To achieve the best result of woven sew in label, you need to have lettering for at least 2.5 mm in height/width in your label design. We use the finest threads, and we normally can achieve detailed small lettering weaving image. 3. How to communicate the colours for a personalized fabric woven label? We have a stock of more than 600 colored threads to choose from. You can simply let us know the pantone code, and then we will match the closest colored thread we have in stock for your customized fabric woven label. 4. 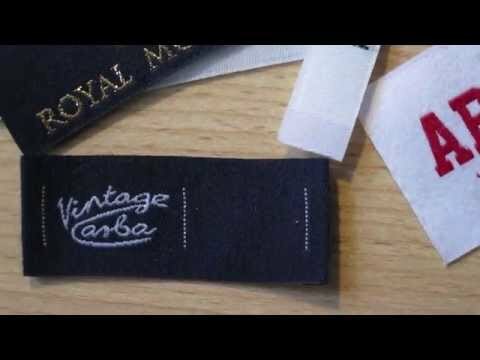 Do you offer woven Iron-on Labels for kids clothes? Yes, we do. Our woven Iron-on labels are the top quality labels. Many clients are happy with this quality. And our minimum order is very small to achieve this special iron-on woven label production. 5. I am looking for a labels manufacturer to produce a printed poly cotton label for my tablecloths, table linens products. I can also consider organic cotton fabric label if this price is not too expensive. Do you offer this sort of cotton labels? Yes, we do. Our minimum order for printed poly cotton, linen cotton, and organic cotton fabric label is only 500 pcs. The price is the same for all these different cotton fabrics. We use screen printing technology to achieve the best printing result on this soft fluffy fiber cotton fabric. You will definitely like our cotton labels quality. So many of our clients are happy with this printed cotton labels quality we create for them. 6. Do you supply personalized embroidered badges or woven patches? We need to custom a personalized name badge for our work wear items. Yes, we do. We offer wide range of different quality woven badges, and handmade embroidered badges. They are all produced to the highest quality. 7. I have recently started a new clothing business and am looking for some woven labels to attach to my product. Please let me know how to order my clothing label? 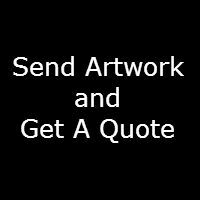 Please email us artwork either in JPEG or PDF file, the artwork should specifies label dimension and number of colours to be used. 8. I am looking for a label maker to produce my name label for designer clothes. And I like to know if the effects and gradients are achievable on a clothing woven label? Yes, the gradients effect can be achieved on a clothing woven label. We use the finest threads and digital photo, high density weaving to achieve gradient effect on woven labels. 9. I produce handmade silk cushion, and I need a very special, unique handmade label for my product. This needs to be multiple colours. Can you let me know how many colours I can have for a handmade label tag? It depends on the quality and design of your hand made woven label. Basically one woven label can have up to 8 colored threads on it. For a plain taffeta woven label, we can achieve 12 colored threads on it. If your label is too small, then you have a smaller room to accommodate too many colored threads. If you can email us of your artwork, we will then review the best option for your hand made label tag. 10. 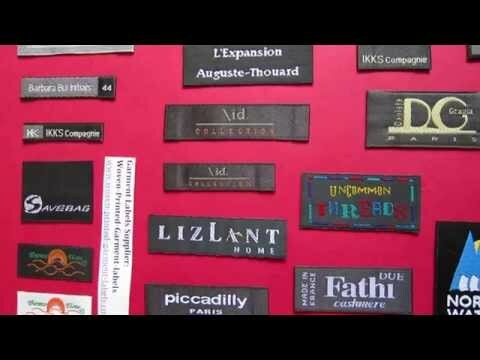 What are the option of different widths & total lengths of custom clothing woven labels you can offer? For broad-loom woven labels, you can have the widths from 10 mm up to 100 mm. For needle-room woven labels, you can have the widths from 18 m up to 30 mm. As for the total length of woven labels, you can have up to 140 mm. 11. 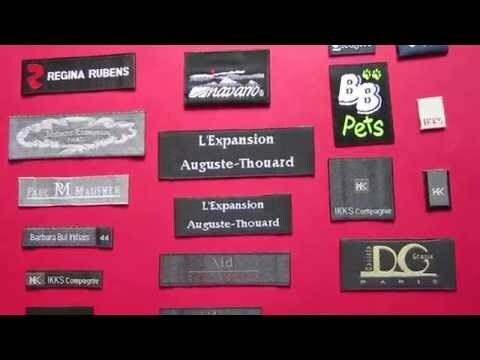 Do you offer folded woven name labels for clothes? Yes, we do. You can have options of your custom woven name tag made for (a) Center folded; fold in the middle, either vertically or horizontally. (b) Two ends folded; fold on the right and left end. (c) No fold at all; just straight cut, heat cut label. 12. 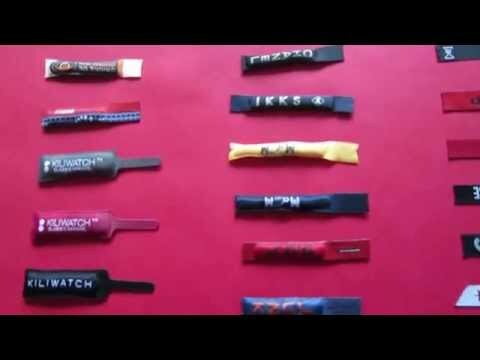 Do you supply woven labels on roll, as decorative woven ribbon (tape)? Yes, we do. We can supply and deliver your decorative woven label on roll, ribbon or tape. 13. 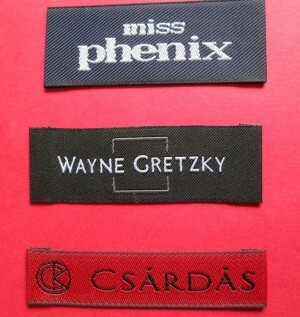 I would like to know your minimum order for personalized woven sew in labels? The minimum order is 500 pcs for custom made woven labels. However, we also help college students who are under tight budge, and require a small quantity customized woven label production for their label design. Please contact us; we will see how to help you for a small quantity, and very cheap, affordable customized woven label production. 14. Is it possible to have round woven label? Yes, it is possible. It can be achieved by laser cutting process. 15. Can you help to create an artwork for my clothing label design? Yes, we can help. Please email us of your rough sketch of how you like for your label design, and we will help to create an artwork for you.